Social psychologist, Jonathan Haidt, helps us explore the impact of raising a generation to believe that the world is a dangerous place from which many protections should be given. What happens when free speech meets microaggressions and trigger warnings on college campuses? Can campus life foster critical thinking while also protecting communities from offensive and/or hate speech? Are we helping build mental wellness and democratic principles by shield people from viewpoints that may cause harm or eroding the underpinnings of democracy when doing so? Moderated by Kitty Boone, Vice President, Public Programs, Aspen Institute and Executive Director, Aspen Ideas Festival. Jonathan Haidt (pronounced “height”) is a social psychologist at New York University’s Stern School of Business. He received his Ph.D. from the University of Pennsylvania in 1992, and taught for 16 years in the department of psychology at the University of Virginia. Haidt’s research examines the intuitive foundations of morality, and how morality varies across cultures––including the cultures of progressive, conservatives, and libertarians. His goal is to help people understand each other, live and work near each other, and even learn from each other despite their moral differences. 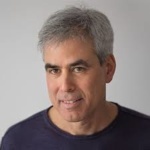 Haidt has co-founded a variety of organizations and collaborations that apply moral and social psychology toward that end, including HeterodoxAcademy.org, OpenMindPlatform.org, and CivilPolitics.org. Kitty Boone is Vice President of Public Programs and Executive Director of Aspen Ideas Festival. Kitty is responsible for oversight of a broad array of public facing programs and events at the Aspen Institute. She is the primary executive in charge of the Aspen Ideas Festival, a week-long conference that is hosted by the Institute and The Atlantic magazine each summer in Aspen. She also supports and works with colleagues on numerous additional programs which the Institute partners in or manages, including Aspen Ideas: Health, Aspen Abu Dhabi Ideas Forum, City Lab, and various smaller initiatives. Kitty has worked at the Aspen Institute since 2003. Prior to joining The Aspen Institute, where she also had responsibilities for seminar programs, Kitty served as Vice President, Marketing and Sales at Aspen Skiing Company, where she worked for 11 years. 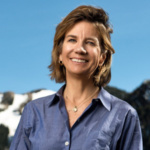 A native of San Francisco and a graduate of Stanford University, Kitty began her career in Washington DC as an intern for a national environmental group, ultimately coming to Aspen in 1989, after stints in the public and private sector and earning her Master’s in Public and Private Management at Yale School of Management. She is a proud mom of twins– a junior in college and a Navy Seal recruit. Kitty sits on two boards in Aspen, and is passionate to learn why some people are so curious. *If you are not yet a member of the Society of Fellows, and have interest in joining, please contact the Silbi Stainton or the SOF Hotline.